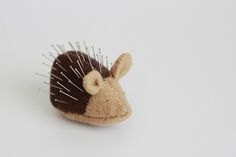 You can create a simple pillow to use as a pin cushion or stitch an elaborate soft sculpture that would look great in a display case. 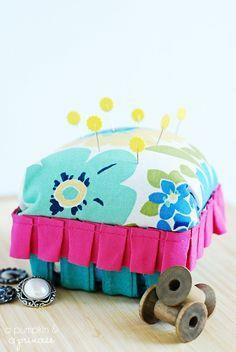 Either way, these soft little helpers are a seamstress's best friend and are collected just like fine crystal. 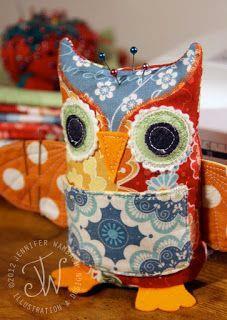 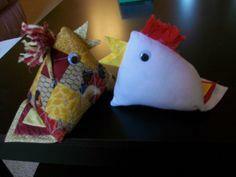 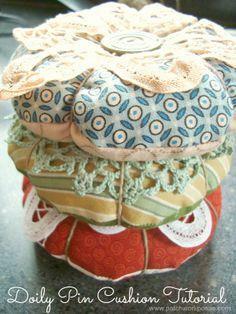 Use mini-quilt blocks to create a homespun feel and use up tiny fabric scraps. 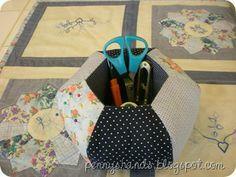 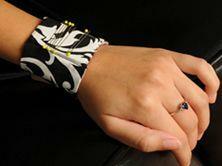 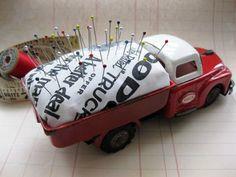 This is also a great way to practice paper piece quilting. 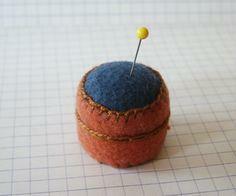 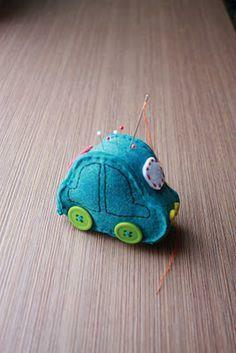 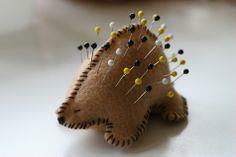 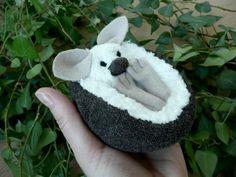 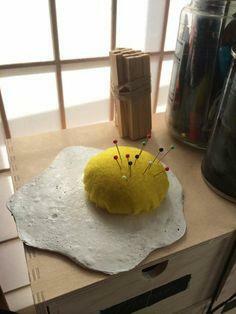 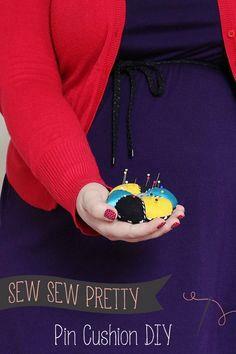 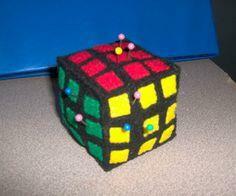 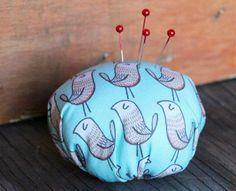 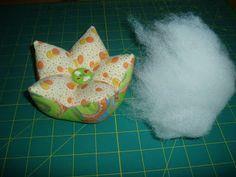 Use two blocks to create a tiny pincushion pillow. 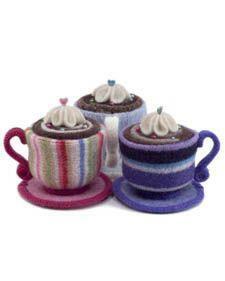 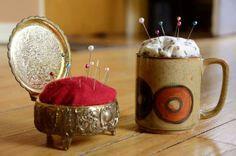 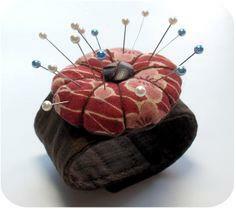 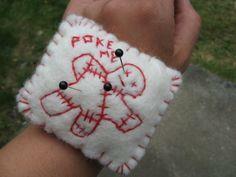 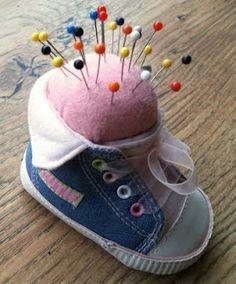 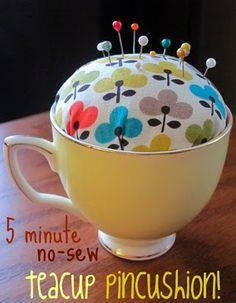 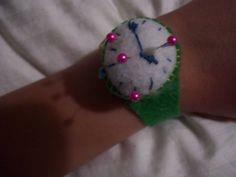 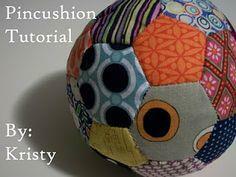 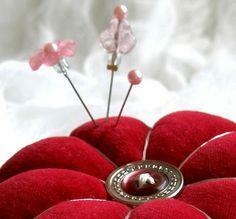 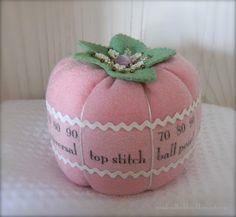 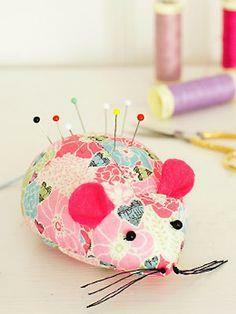 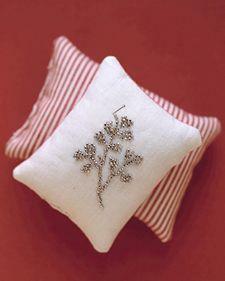 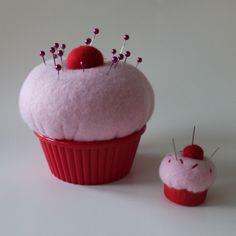 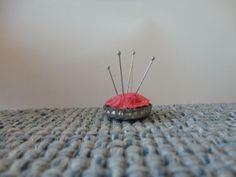 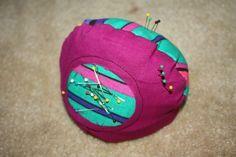 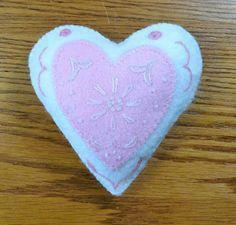 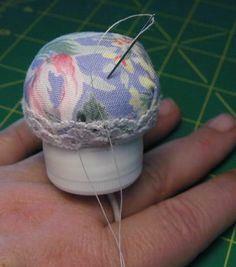 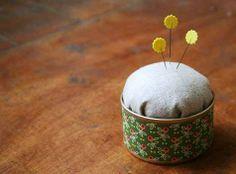 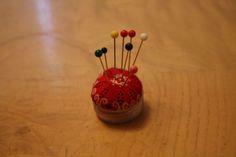 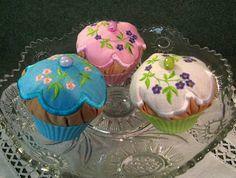 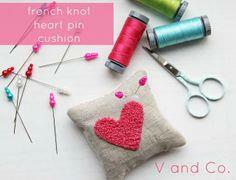 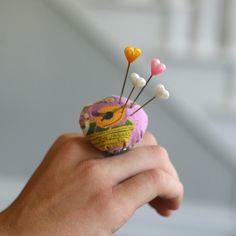 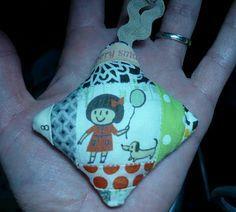 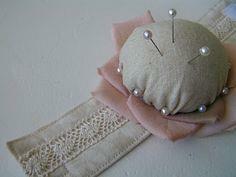 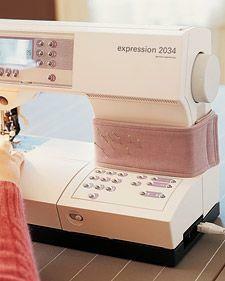 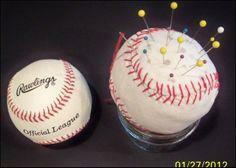 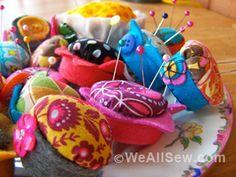 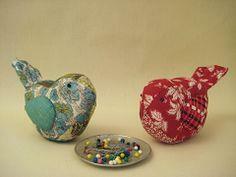 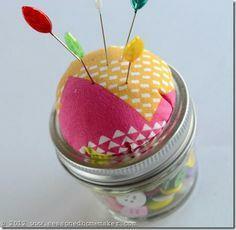 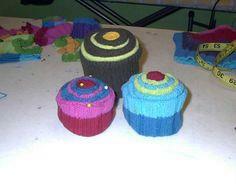 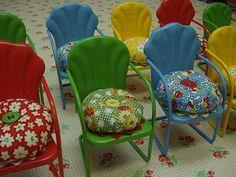 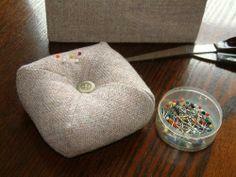 Use a small teacup or other small bowl as a base for your pincushion and stitch up a color design to top your cushion. 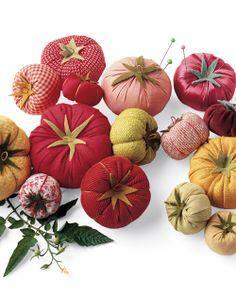 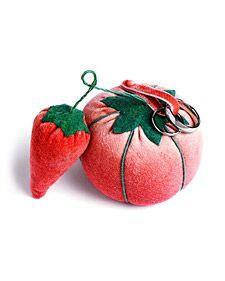 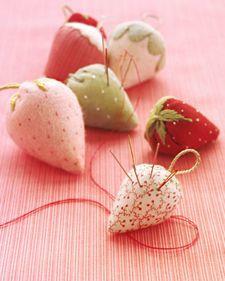 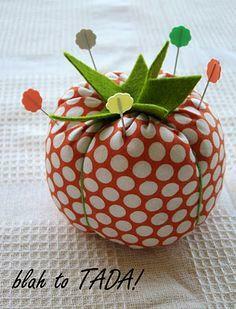 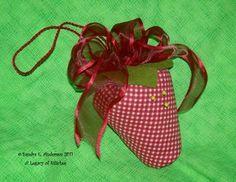 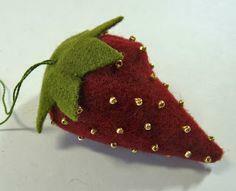 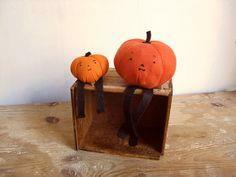 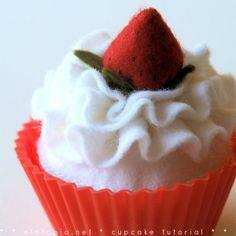 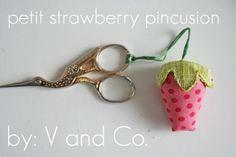 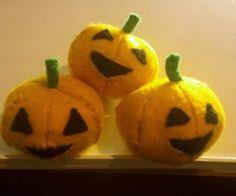 You can also create fun shapes like apples, strawberries and pumpkins to use for pincushions. 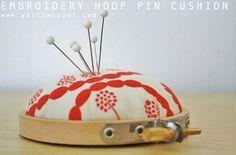 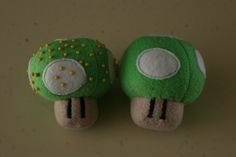 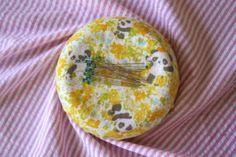 Other popular pincushions are tiny ring pincushions and armrest pincushions that have storage pockets and fasten to your favorite armchair. 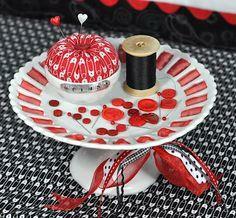 Suggested Fabrics: Cotton, felt, gingham, calico, wool. 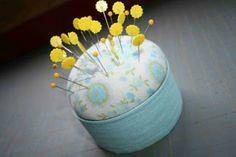 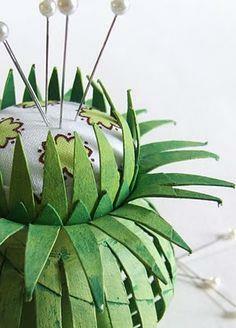 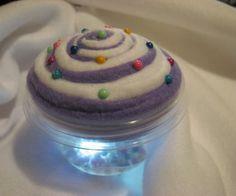 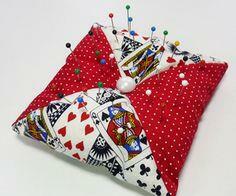 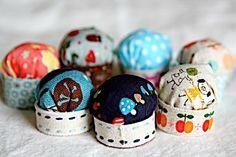 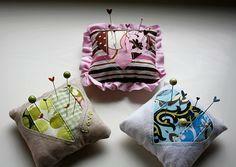 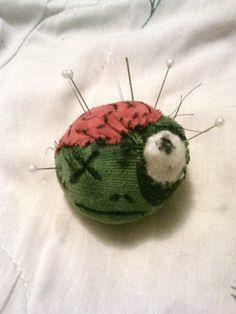 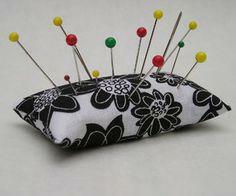 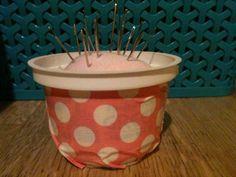 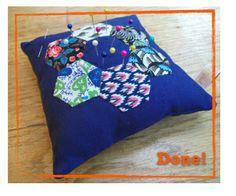 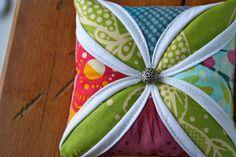 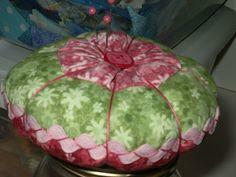 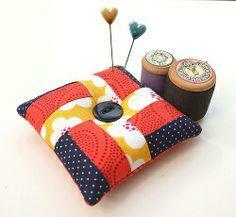 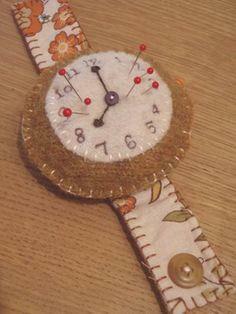 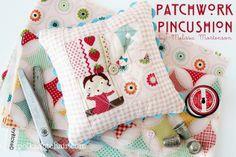 Pincushion Patterns - Pincushions can be addicting, and once you've got the bug, you always want just one more. 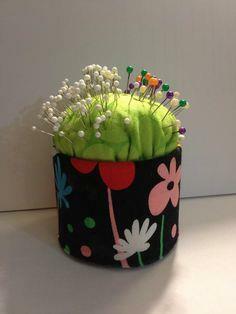 Large, small, simple or ornate, pincushions are a charming addition to your sewing room and are great gifts for the seamstress who has everything. 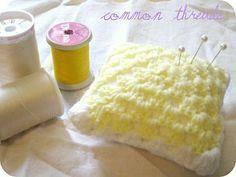 Guest Tutorial With Tea Rose Home!